Over the weekend I felt ambitious and bought all the fixings to make smoothies. I’m not a big breakfast eater, but I figured a morning smoothie would get some yogurt and fruit in my body first thing. So yesterday morning I made my first smoothie, poured it in my to-go cup, put the pups to bed, and left for work. On my drive I thought back to when I worked as a barista and the nifty blender with the stick that we used. It made stirring the ice and blending all the ingredients so easy. After a few minutes of this I realized that’s obviously a load of crap. My blender works just fine. And the middle of the lid twists off so I can easily stir the contents with a spoon or spatula in between the blending. But it also made me realize that this is my mentality when it comes to “new” things. I try to be aware of the crap stuff I bring into the house, but it’s easy to get sucked into the “need” mentality. I don’t fall victim to all of these, but it’s easy to. A change or new habit makes me think I need new things. Bought a workout package at the yoga studio? Well obviously I need new clothes. Planning a beach vacation? Shopping trip for new vaca outfits. Am I a lone weirdo on this or are you nodding along with me? Lol. Don’t get me wrong- some things are absolutely necessary. For example, my crockpot burns everything and doesn’t pay any attention to the setting I put it on. All of the This Is Us fans in BlogWorld have urged me to replace it. It’s on my to do list. Nothing really performs the function of a slower cooker except a slow cooker. But I have untouched cookbooks, comfy workout clothes, trendy vacation outfits, safe and sturdy leashes and harnesses, and a perfectly good blender. So this is my random reminder to myself that I don’t need it. And, quite possibly, you don’t need it either. I am definitely not poopoo-ing frivolous buys and treating yourself to random Target or Amazon finds, but don’t go buying the high dollar blender when you have one that works. Ha, my mum always goes shopping for holiday clothes before she goes away somewhere. Any trip, no matter how short, requires new clothes apparently. Gosh this is so me. I get caught up in a new thing then need all the new stuff for it. I need to remind myself I dont need it sometimes too! Yeah- I’m 100% guilty. I love trying to find vacation or workout clothes. AND I HAVE SO MANY ALREADY!! Same with holiday decor. Lol! Nodding along to all of this. Took up yoga, bought the package deal and just got some new yoga clothes. In my defence they will double up as gym clothes haha! Yeah! I did the same thing with yoga. Sheesh. I’m terrible about it with workout clothes. And of course then I buy them and stop working out. UGH. I definitely need to kick those habits! right there with you…also because i’m super cheap, i refuse to pay for things that i can do myself unless absolutely necessary. it’s also why i haven’t bought clothes in years; same with shoes. i recently got a new pair but the last time i bought before that was maybe 7yrs ago? I will say… I’m not that bad when it comes to shoes. But workout clothes or vacation clothes or holiday decorations? I’m awful. I buy things when they’re on sale at least, but it’s still a terrible habit for me. I so get it. It’s easy to justify purchases as a need when it’s really a want! I have to adopt this mentality better too. Yes! I confuse need and want all the time. Especially when it comes to forming new habits (or trying to anyway, lol). This is such an important message!! I SO appreciate your thoughts on this. There are very few things that we actually need. If you have the self control to wait on buying something-I find that if you wait 24 hours you rarely feel the same pull to purchase! GIRLLLLL – i needed this talk. Every time I get an email about a sale, I’m like I NEED IT… when, really? did I need it before I knew about the sale? I just left a cart online FULL of stuff that I had this sort of realization & was like, What am I doing? I dont need to blow $48.00 on stuff that will just get tucked in the cabinet. Online sales and Amazon and emails are all killers. They get me every time, too. It’s like Target and ON know when I’m weakest! AH! I have been here for the past six or eight months and it is radically different from where I’ve been my whole life, so different that I still need to remind myself of this so I love seeing people write about the same. Thank you! We need to do what we can to remind each other that we are not what we consume. We are more than that. It’s so dang easy to consume in this world. It’s definitely something I’d like to work on. We just have so much STUFF in our house that never gets touched! And it’s easy to add to that without thinking. I need to focus on thinking before consuming for sure. Audrey pleeeeeease do a ted talk on this. I need this reminder! As we get rid of old furniture we don’t need (because we’ll be moving), I’ve been replacing it with new stuff! As if we won’t still have to move the new things?? And when things go on sale, oh my gosh, all bets are off. It feels totally justified because LOOK I’M ACTUALLY SAVING MONEY (on a non-essential purchase that is still costing me dollars). Whew. Thank you for this reminder!!! YES! This is something I’m working on. It’s so hard to break that habit. Oh my gosh this is me, my mind immediately says that I need something new for whatever event/trip/weather we’re having. What I really need to do is go through my bins of clothes and get rid of stuff! Nick and I are on a tighter budget in DC than we were in Hawaii so we started something that helps with the impulse purchases. We made a shared Amazon wish list and whenever we think of something we want to get, we add it to the list. Even if it’s only like $10, if we don’t need it we put it on the list. Normally we would just buy it. At the end of the month we look at our budget and see what we can get from the list. Most of the things on the list we don’t even want anymore! This system does not prevent all unnecessary spending but it helps! Yes! Vacation shopping is my weakness. And I’ve gotten K hooked on the bad habit, too! SIGH! I love the idea of the Amazon list. Such a great habit! I am the WORST with Amazon, although I try to utilize the wishlist feature for things that I truly don’t need. Of course things slip through, though. This is SUCH a great reminder and life lesson. It’s so so true. 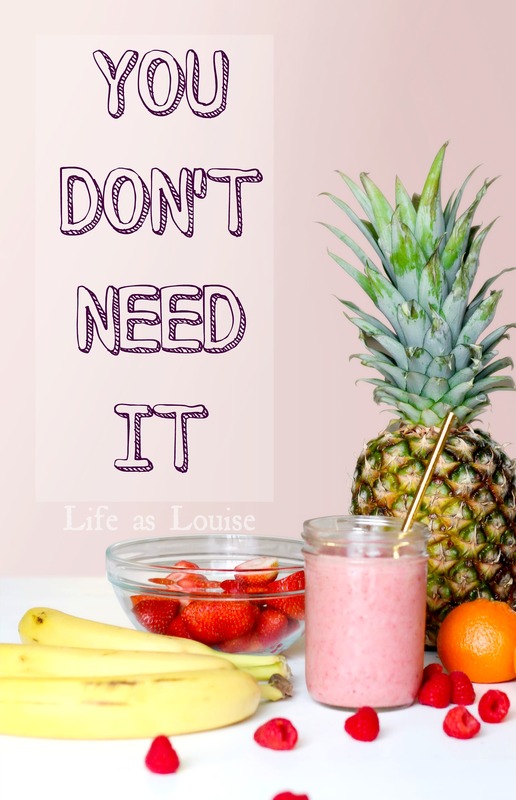 Especially with products and social media constantly in our face, we think that we NEED it all…when we really don’t. We can make do with things right in our own home that we use every day. Thank you for sharing this! Between email, Amazon, IG, and FB ads I am such a sucker for new stuff. Totally unnecessary and unhealthy. It’s definitely a habit I’d light to rein in. Love this! I do fairly well not buying crazy expensive things for myself, though I’m worse when it comes to buying for OTHER people. LOL I like giving gifts, what can I say? But this is definitely something I think we all need to remember sometimes. Man, I didn’t even think about gift giving. I’m pretty terrible about stocking up on those, too. Some people are just too easy to buy for! Haha! Amen! I am seriously scolding myself for all the stuff I’ve accumulated because I needed X, Y, Z at some point or another now that I’m trying to pack my life up into 12 boxes! Oooooh, yikes. My life would NOT fit into 12 boxes. Heck, my books, clothes, and kitchen ALONE wouldn’t fit into 12 boxes! Good luck to you!! Oh man, so true! I’m totally guilty of this… I told myself I need to start working out regularly again, so I splurged and signed up for ClassPass again. So not necessary since I can definitely use the free gym in our building. Ugh! Oh well… I have been getting rid of a ton of stuff, though. Selling stuff on Facebook marketplace is addicting! Yep. Gyms and studios make it SO easy to just sign up for passes and membership. I’m so guilty of it. I want to start selling some of our stuff! I don’t know if FB marketplace is a good space or Poshmark, but I’ve been looking into it!